This page shows the latest PMEA 2013 news and features for those working in and with pharma, biotech and healthcare. Awards haul also includes four high commendations. Sanofi wins Excellence in Managing Mature Brands at PMEA 2013. ... See all the winners from PMEA 2013. 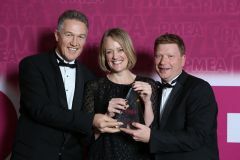 Janssen picked up the prestigious Accenture Award for PMEA Company of the Year at the event, which recognises responsible marketing and business practice in the pharma industry. ... See all the winners from PMEA 2013. The PMEA judges concluded: “The passion of Celgene's myeloma team for their product is clear. ... See all the winners from PMEA 2013. 2012 and achieving a 100 per cent success rate with NICE in 2013. ... The company also won The Accenture Award for PMEA Company of the Year at PMEA 2013 last week. 2014 Winner: PMEA Special award for innovation 2014: HaemophilliaLive 2013 ethnography, NovoNordisk. ... 2014 Finalist: Excellence in Patient Focus: HaemophilliaLive 2013, Novo Nordisk. PM Society Digital Awards . PM Digital Awards 2010, 2011, 2012, 2013, 2014, 2016, 2018. Communiqué Awards 2013, 2014, 2015. ... PMEA Awards 2014. Rx Club Show Award 2014. PM Awards 2013, 2014.